In a series of youth study guides there couldn't possibly be a better topic to focus on than Jesus Christ and the Holy Spirit. By doing so, readers of this guide will be better equipped to listen to the Holy Spirit and follow the footsteps of Jesus. This and and all the books in the Youth Bible Guide Series Works excellently with Authentic's Easy to Read Version (ERV) youth Bible. Youth Bible Study Guide: Jesus Christ & the Holy Spirit by Kendall Chip was published by Authentic in January 2014 and is our 2555th best seller. The ISBN for Youth Bible Study Guide: Jesus Christ & the Holy Spirit is 9781860246333. 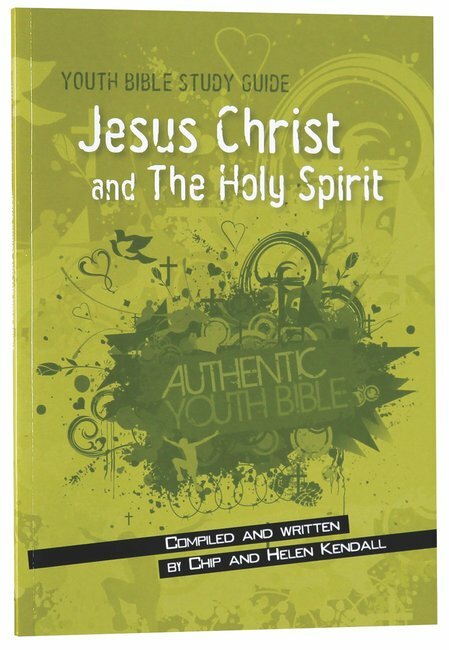 Be the first to review Youth Bible Study Guide: Jesus Christ & the Holy Spirit! Got a question? No problem! Just click here to ask us about Youth Bible Study Guide: Jesus Christ & the Holy Spirit.